Mother and father pose for a photo. But the doctors notice something unusual about the faces of their babies. This family photo shows two girls in the garden: Lilly (5) and Josey (2) pose alongside their proud parents Amber and Levi. This is the Nelson family from Birmingham, Alabama. What's the occasion for the photo? There's a new child on the way - Amber Nelson is pregnant. However, although they are both looking happily into the camera, the young married couple face a difficult ordeal. The ultrasound images in Levi's hand reveal what it is. 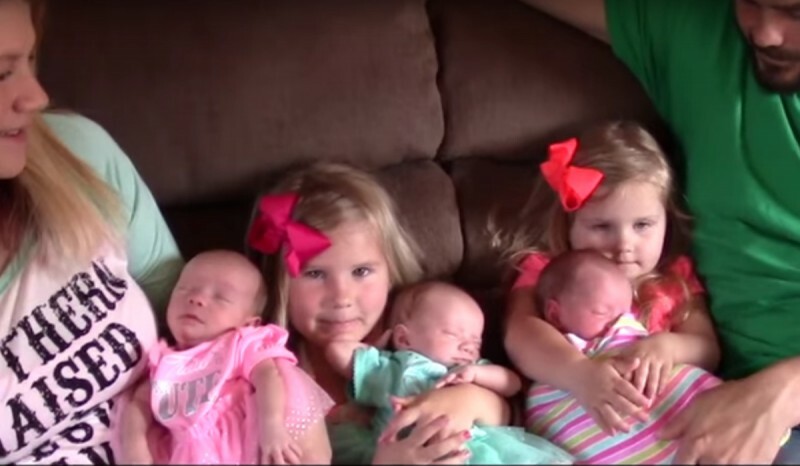 Both parents had made the decision not to have any more children after the birth of their second daughter Josey. But then a medical diagnosis forces them to rethink this. In spite of their intentions, Amber became pregnant for a third time - and this time everything was different. 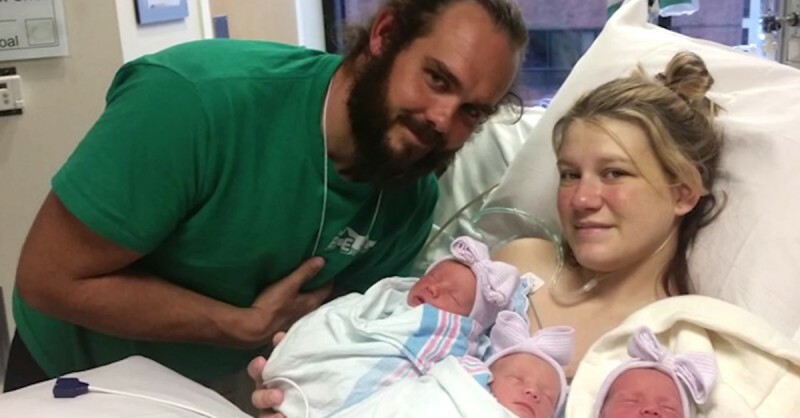 Amber wasn't just going to bear one child but rather triplets! It's a big surprise, but the entire family is very excited about the triplets. Amber and Levi suspect that they'll have to gather all their strength for what's to come. 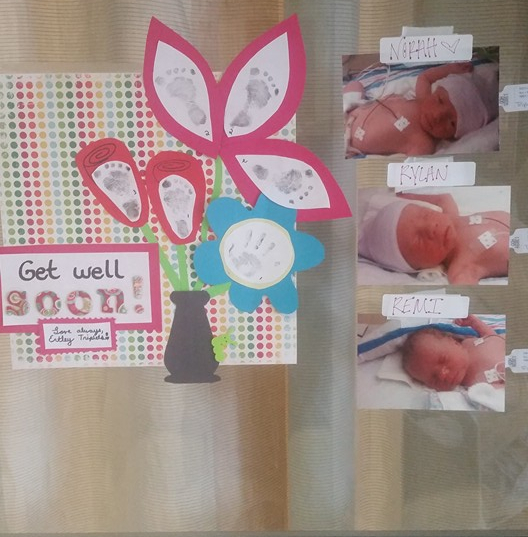 A friend of the family starts a fundraising campaign to help cover the medical costs. But Amber will have to go through the labor pains all on her own. The mother is prepared - after all this isn't the first time she's done this. But when the birthing process begins, she hits her limit. Initially she wants to bear her children the natural way - with three babies this is extremely rare - but ultimately she has to have a Caesarean to give birth to the triplets. This is normally a routine operation but Amber experiences complications. She loses a lot of blood and the doctors fight to save her life. The young woman fights hard. Following a blood transfusion and CPR, Amber's situation stabilizes. She won't abandon her newborns at any cost. As she holds her babies in her arm, she knows that it was worth it to hang in there. The doctors are amazed when they examine the children's faces - they don't see something like this every day at the hospital: The three little ones appear to be identical like three peas in a pod and quite literally: identical triplets are a biological rarity - the chances for such a pregnancy are 1 in 200 million. Getting 6 numbers right in the lottery including the bonus number is more likely! Everything but an easy birth. 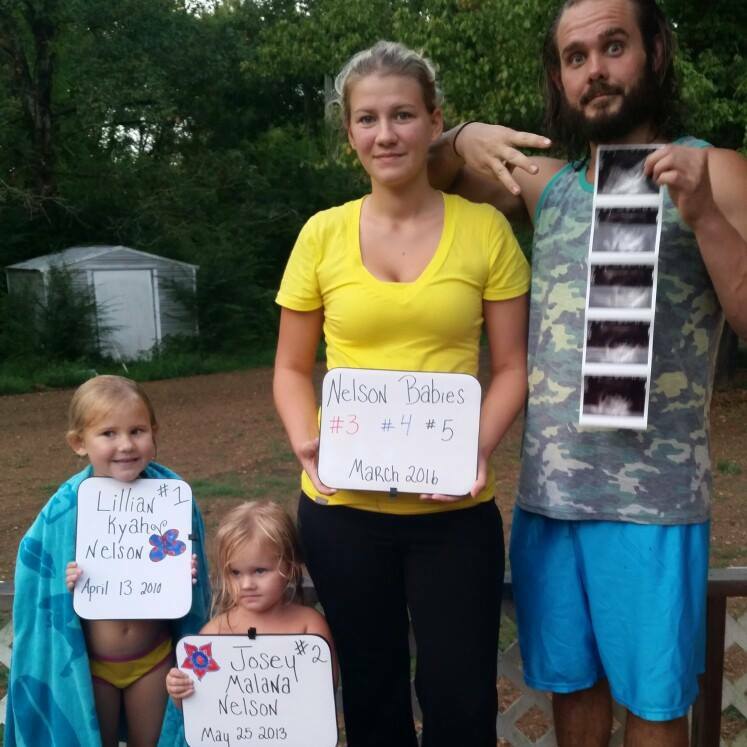 Small families are the trend nowadays, but the Nelsons show what you miss out on if you're too strict with your family planning. If you're also in favor of saying "Yes" to life, share their story.